My "Candles & Cake" Collection is yet another in this series! 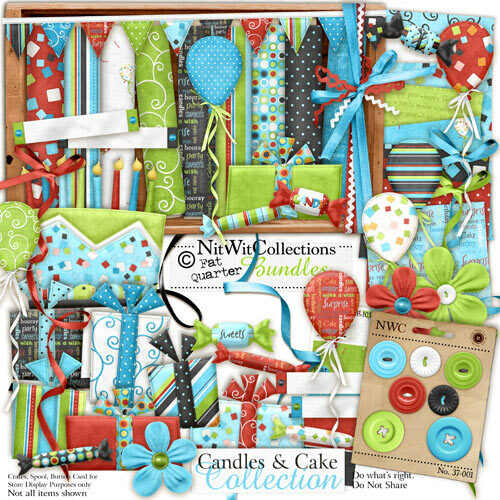 This new collection is perfect for your friends and family's birthday celebrations! Full of balloons, presents, cake, and even candies and in colours that work with birthdays of all ages it's just the ticket for all your invitations, cards, and scrapbook memories! Hope it brings a smile to your face and helps you celebrate those milestones too! Let me at that cake!